Seeing Jerry Sadowitz is an experience. Seeing two shows back to back was a special experience as I got to see how he altered his material in the space of an hour or so. He was on top form yet doesn’t get the recognition he deserves. Not only is he a great magician he’s also a great comedian too. This isn’t going to be a review or some sort sycophantic speech about how great he is. I just drew a picture of him last time I went to see him back in January and didn’t post it. I had thought of doing a new one but none of the newer sketches captured the essence quite as well as this one. I also coloured it in a bit to make it look nicer. 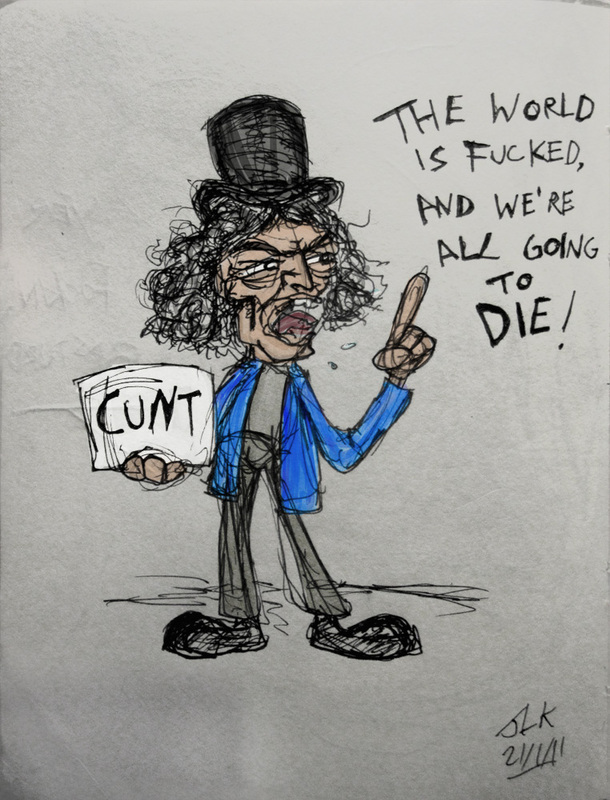 So here it is ladies and gentlemen, boys and girls… Jerry Sadowitz!